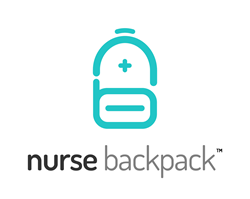 Nurse Backpack launches an innovative mobile app and enterprise edition designed for nurses, hospitals, staffing agencies, and students to completely manage, track, update, and send nursing credentials from the palm of their hand. This technology finally bridges the gap between empowering nurses to manage their own credentials and still providing transparency and control to the hospitals and agencies that employ them. Nurse Backpack releases the first app of its kind to offer a way for hospitals and staffing agencies to quickly manage and access their nurses’ credentials, work history, assignments, and more while also empowering nurses to manage their own credentials. Utilizing current functionality of mobile devices with cloud-based technology, nurses and nursing students can easily update, track, and snap high-quality document pictures from their phone. One-time entry of expiring document dates automatically generates self-selected warning notifications. Users find a document once, and always know it is one click away from that point forward. The product is designed to mitigate the risk of lost or misplaced documents, simplifying Joint Commission and internal audits. Candidates can at any time pick and choose any or all documents and submit to their employer directly from their phone, with the enterprise edition allowing those employers to run reports and gain true transparency into missing or expired credentials with the click of a button. The healthcare profession is one of the most demanding careers in terms of regulatory compliance. Nurses, on average, have approximately 20-30 different required documents, and many of those credentials must be renewed on a regular basis. Nurses may not always have their paper documents on them or carry their bulky binders, but they are far more likely to carry their phones. Nurse Backpack caters to this growing trend and packages all of those paper documents, including credentials, specialties, notes, licenses, work history, and more and stores them in one app, where users can access it, update it, and send it in a professional PDF. Nurse Backpack essentially allows nurses, hospitals, and agencies to manage everything they need anywhere from any device at any time. The Nurse Backpack app is free to download on the Appstore and Google Play. To celebrate the Enterprise Edition launch, Nurse Backpack is currently offering a 30-day free trial. See the enterprise version in action by scheduling a demo at NurseBackpack.com, or download the individual version on iTunes or Google Play.